They don’t call them skippers for nothing. and there are foldwing skippers. This one is probably a sachem. I need to see the underside of the hindwing to be sure. 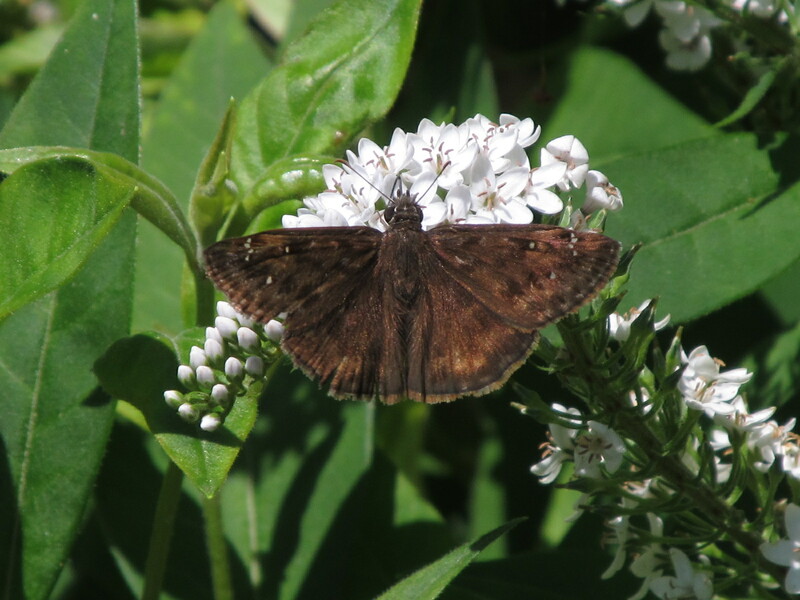 A checklist of Illinois butterflies lists 54 species of skippers! Needless to say there’s a lot of similarities among them. 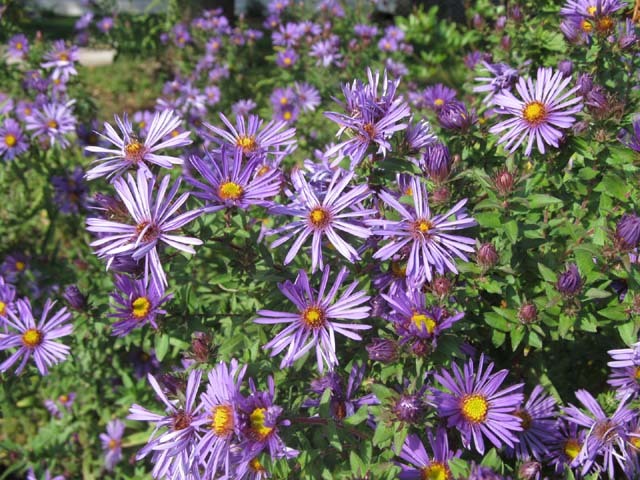 A friend of mine gave me these asters she called summer farewell. 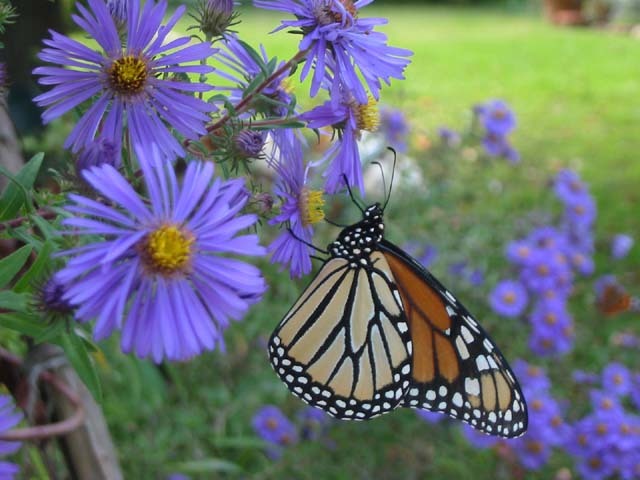 They’ve been well-behaved over the 15 years or so they’ve grown in my butterfly garden. They’ve bloomed with gusto every fall and stayed “contained” in their original place. The base of the clump measures roughly 4×5 feet. 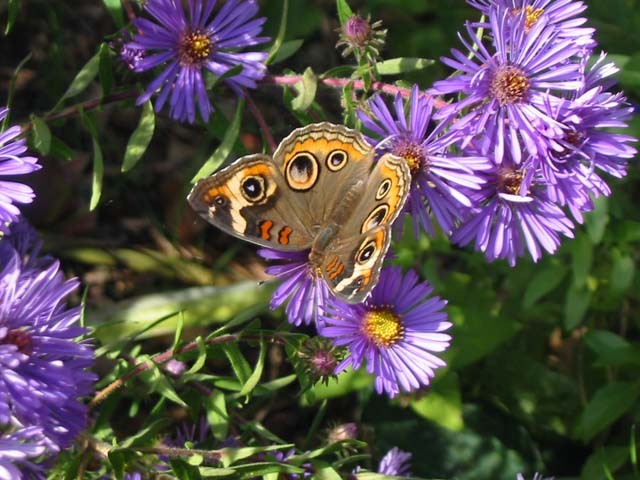 Butterflies, bees and other insects can’t resist the meal they have to offer. 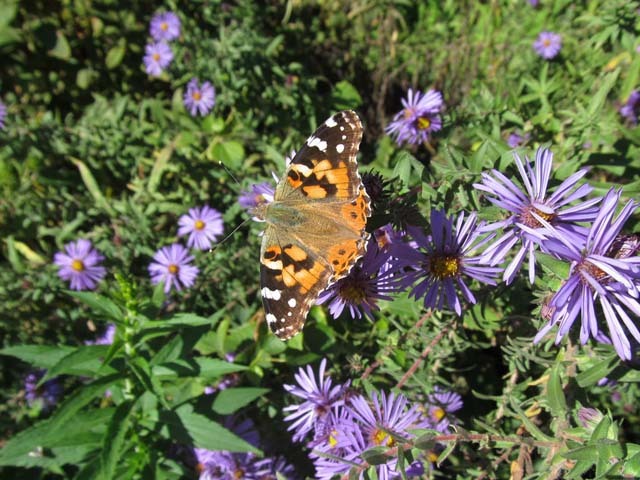 Painted ladies (like the one above) are the most common butterfly now in my yard. The cabbage white didn’t stay long at any one flower. Common buckeyes bask often and are a more patient feeder. Several species of fold-winged skippers visit the summer farewell too. This is male sachem. 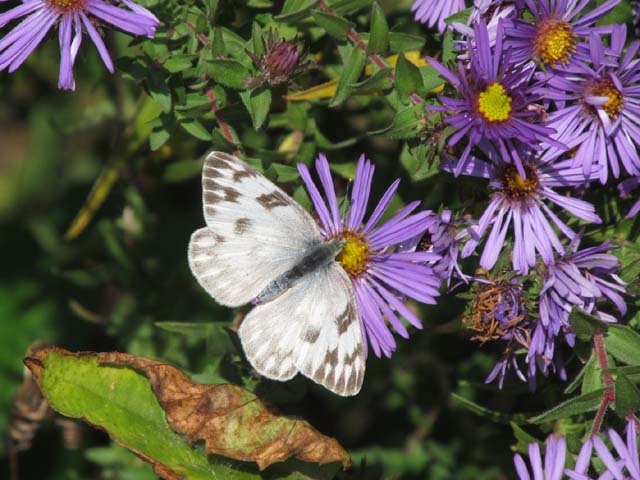 Recent nights with temperatures in mid 30’s greatly reduced the insect/butterfly numbers. 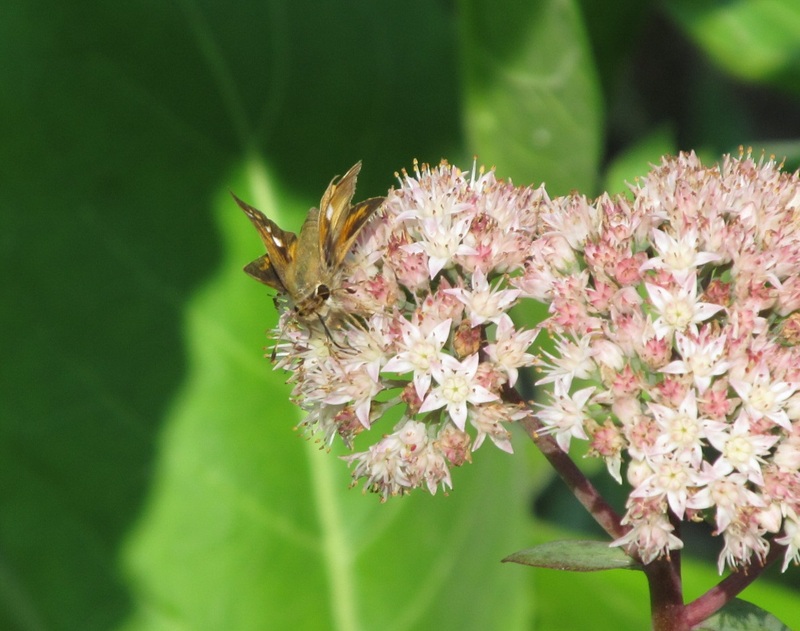 One summer, a great butterfly year, monarchs had started their migration south. Summer farewell was in full bloom, standing 5-6 feet tall. 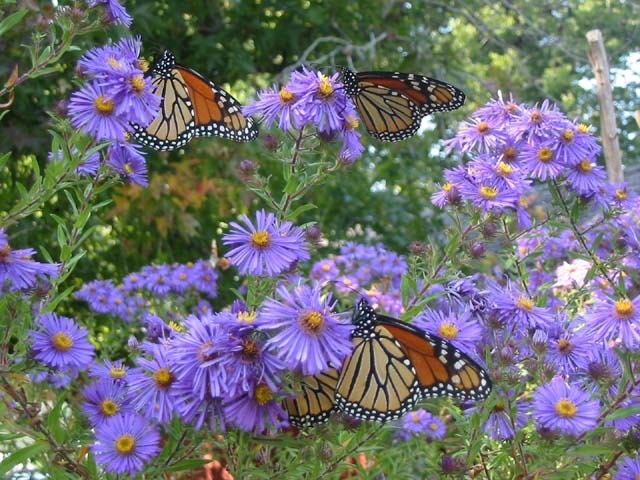 Fifty to 75 monarchs nectared at the asters at the same time. It was so dramatic and kept me occupied for the couple of days they were here. 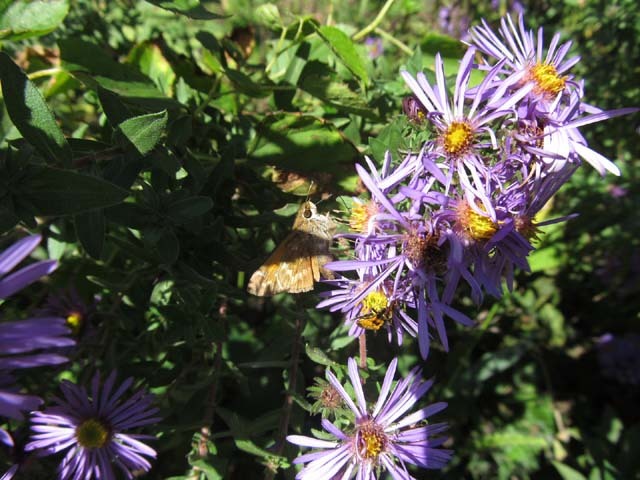 This didn’t include all the other butterfly species visiting the asters too. Such an accurance always takes presidence over domestic duties where I’m concerned. Please excuse the quality of the last picture. 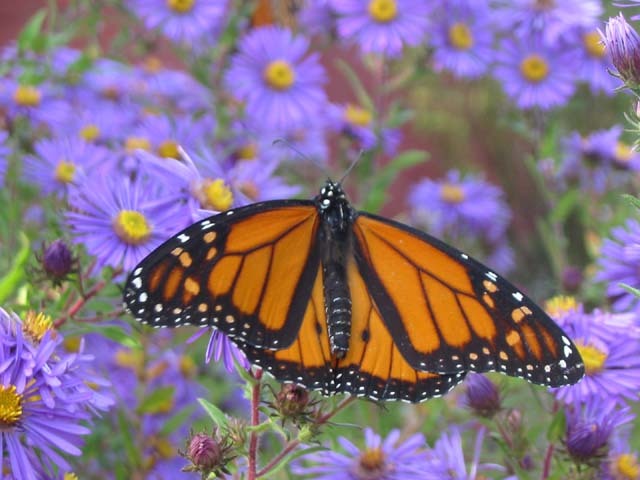 I saw very few monarchs in my yard this summer, and none were a male. The way to tell a male from a female monarch is by the black spot on the vein of a male’s hindwing.